Core i3 Gaming Performance: Better than AMD for Budget Gaming PCs? With the Core i3 Intel has finally brought its new Nehalem based products to the budget market. These new Core i3 processors are meant to slot in just over the $100 dollar mark. This means that the new Core i3 processors are a bit more expensive than budget processors from AMD as well as older budget processors from Intel. So, do the new Core i3 processor perform well enough to justify the extra cost? The current batch of Core i3 processors are dual-core processors with hyper-threading but no turbo boost feature. The two debut products, the Core i3-530 and Core i3-540, are clocked at 2.93Ghz and 3.06Ghz respectively. These clock speeds are high for value-oriented processors, although not higher than the fastest Core 2 Duo and Althon X2 products. Still, thanks to the Nehalem architecture and to hyper-threading, the Core i3 processors are usually faster than other budget processors when using typical programs like word processor and web browsers. Of course, the fine print of the Core i3’s performance is that in every day computing, it usually isn’t fast enough to notice a difference between it and other budget processors. If you’re looking to upgrade your computer because it feels sluggish, adding RAM or a faster hard drive will probably provide more of a boost. When it comes to gaming, the Core i3 performs well. The high clock speeds of the Core i3-530 and 540 means that these processors have the raw speed required for gaming. However, they’re also hyper-threaded, which means they are not completely trounced in heavily multi-threaded games. Neither one of these processors is likely to become a bottle-neck in any modern game or in any game. With that said, the Core i3 processors are given stiff competition from the slightly less expensive AMD Athlon X2 550 and the AMD Athlon X4 630. The AMD Athlon X4 630 in particular is a good choice for a gaming PC thanks to a shift towards better implementing multi-threading in new games. In most gaming benchmarks the X4 630 and Core i3 processors are swapping paint, and since the X4 630 is less expensive it seems the better choice. It is a small victory, however, and either Core i3 or a X4 630 will serve the purpose of playing games. The Core i3 processors are an interesting product when it comes to heavily multi-threaded performance in applications like 3D rendering or media en/decoding. On the one hand, the dual-core nature of the Core i3 processors puts them at a disadvantage against quad-core processors. However, Intel has left hyper-threading enabled as a means of combating this disadvantage. The effectiveness of hyper-threading seems to be mixed. Most benchmark results show that the Core i3 processors perform quite a bit better than older Core 2 based processors like the E7600. 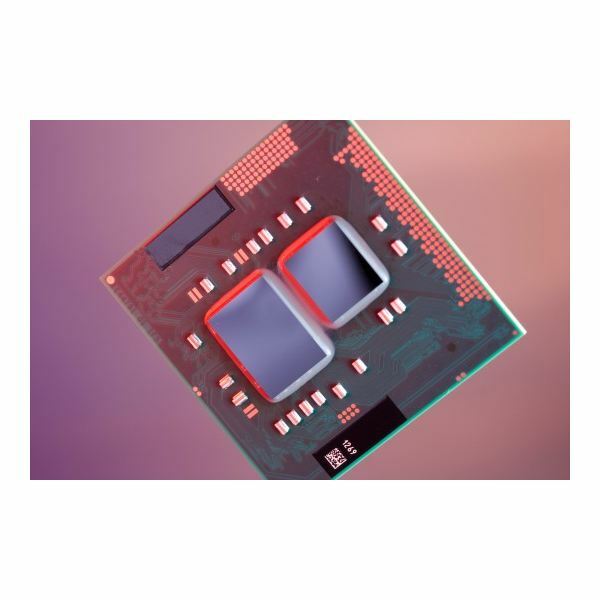 In fact, the Core i3 processors are often faster than the Core 2 Duo E8400 and E8600 in heavily multi-threaded applications, and by no small margain. This shows that hyper-threading is doing its job. The problem, however, is again the AMD Athlon X4 630. The Athlon X4 630 has four physical cores, and this gives it an advantage. In some Cinebench benchmarks the X4 630 is 25% quicker than the Core i3-540. This is not a result which is repeated in every benchmark, but there are few instances where the Core i3-540 is quicker. Again, the problem comes down to price. The Core i3-530 and Core i3-540 are simply too expensive when compared to the X4 630. This is where the Core i3 processors really shine. The Nehalem architecture has proven to be very miserly on power, and the Core i3 is no different. Even at full load a well rounded Core i3 system can be expected to use less than 150 watts, and in some cases much, much less. At idle most Core i3 systems will use less than 100 watts. This is less than any other processor except the Core i5 750, which for some reason uses less power. It is also significantly less than the AMD X4 630 and 640, the Core i3’s main competition from AMD. Overall, the Core i3 processors perform well, but are tripped up somewhat by AMD’s budget quad-cores. If the Core i3 processors were closer to the $100 dollar mark, they would be easier to recommend. At this time, however, AMD’s X4 630 seems to remain the king of budget processors. However, the Core i3 does handily win when it comes to power consumption. For some users this is an important point. It also indicates that the Core i3 will probably work better as the heart of very small computers, as it will be generating less heat and it can get by on a very small power supply. This power consumption advantage also works to give the Core i3 an edge in cheap Windows 7 laptops. Intel Core i3 powered laptops usually are faster than AMD based laptops but also have longer battery life.